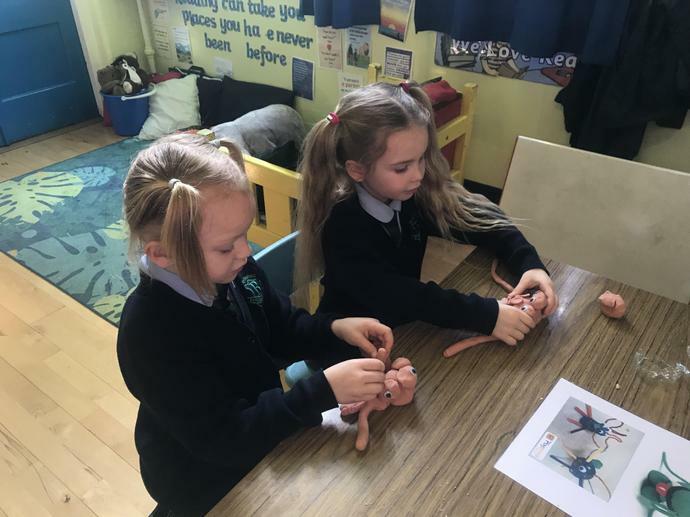 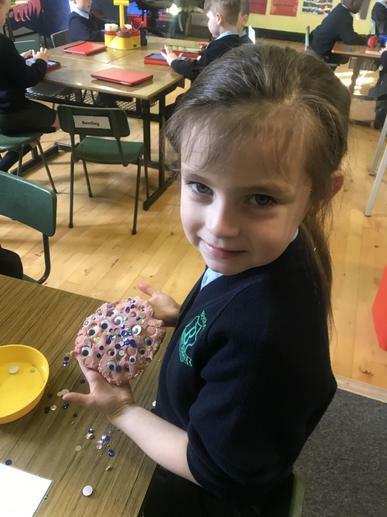 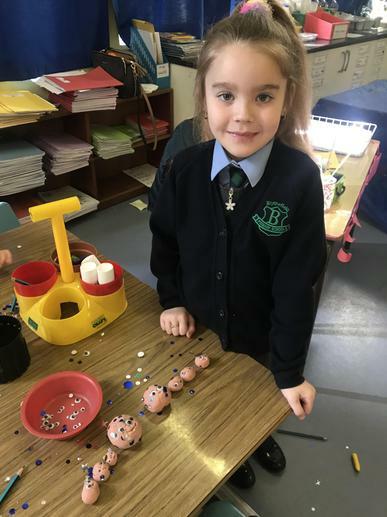 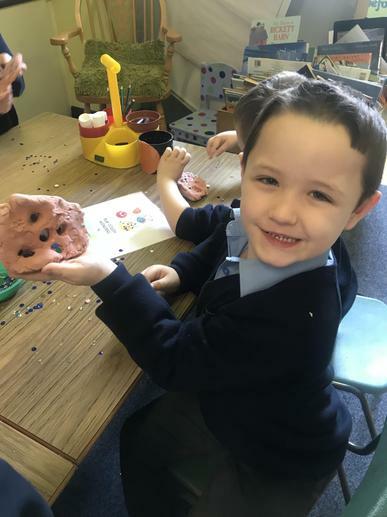 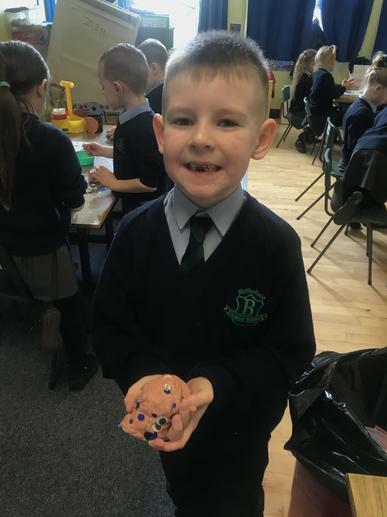 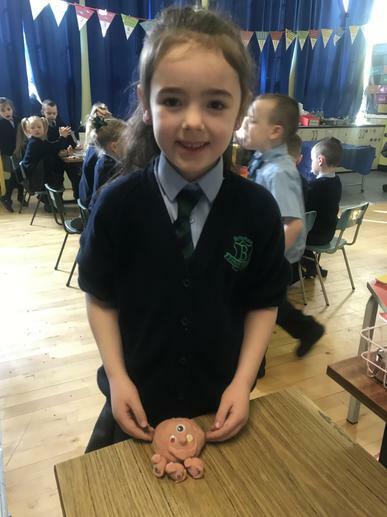 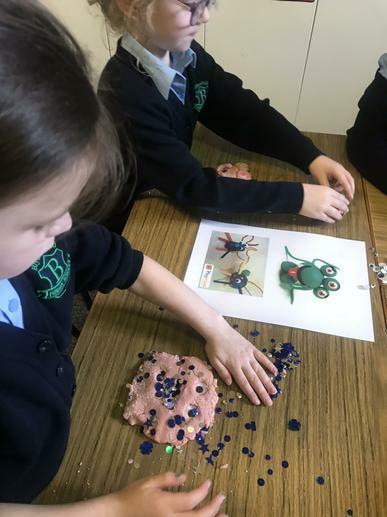 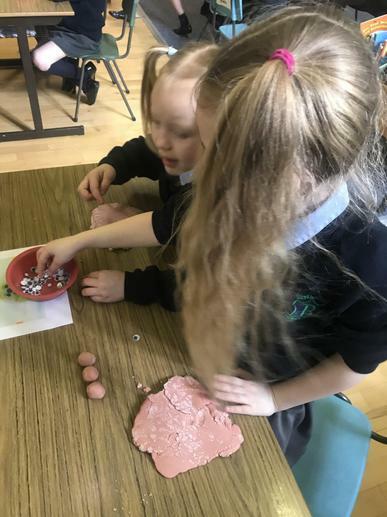 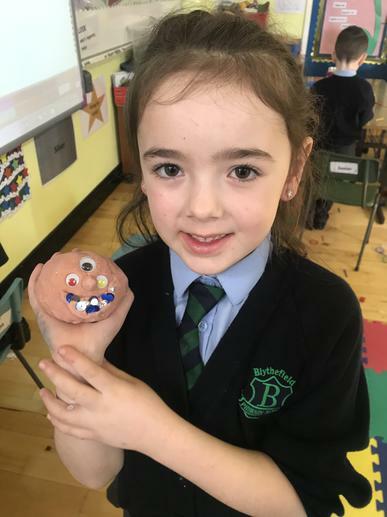 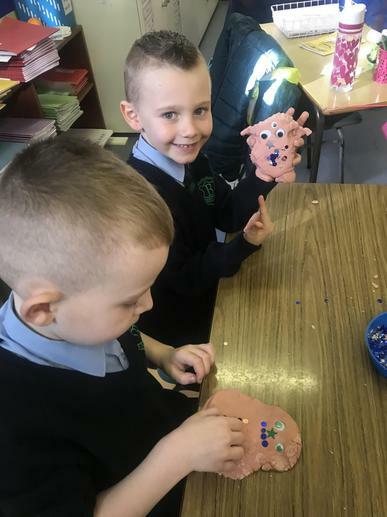 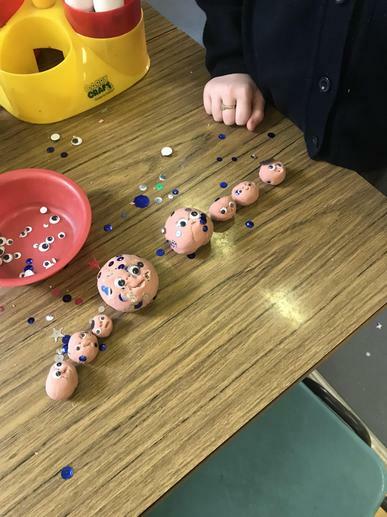 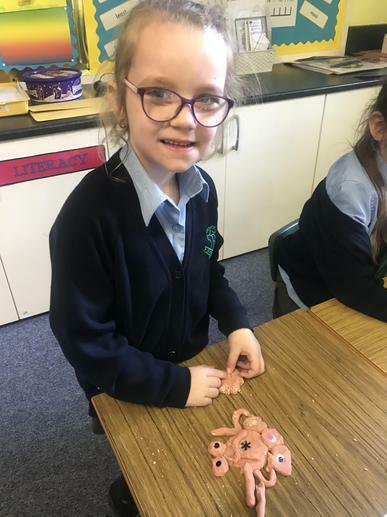 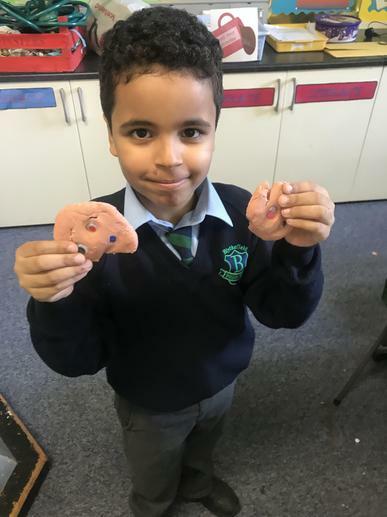 P2 are learning about Space and are creating their own aliens using playdough. 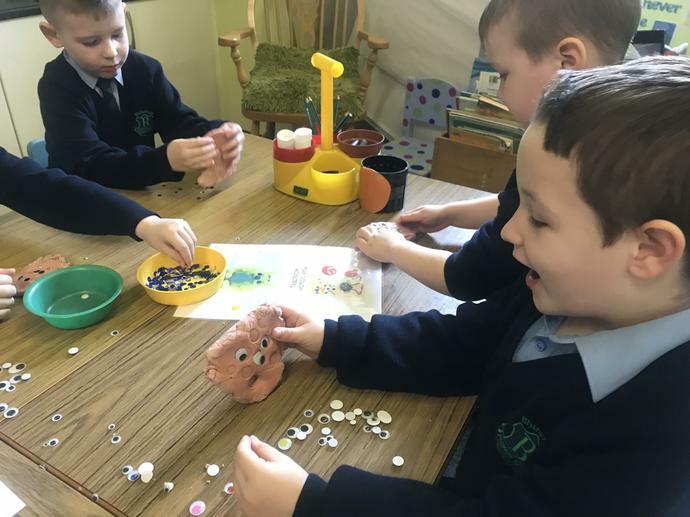 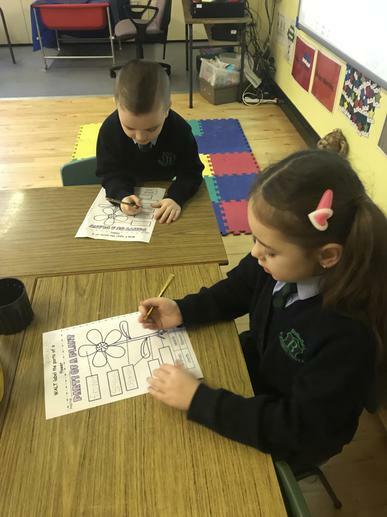 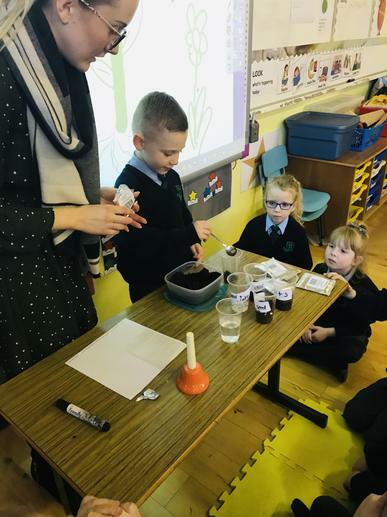 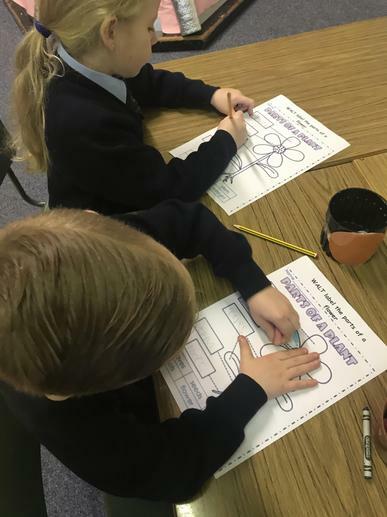 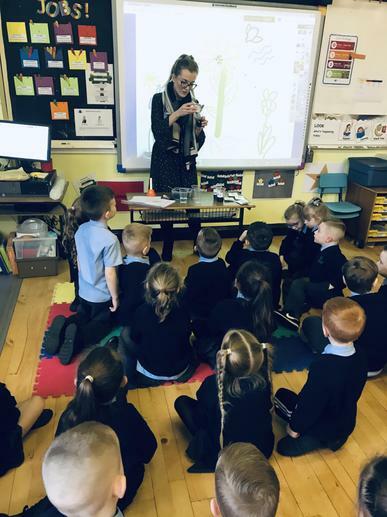 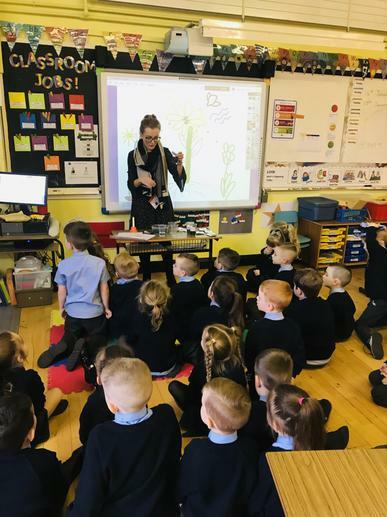 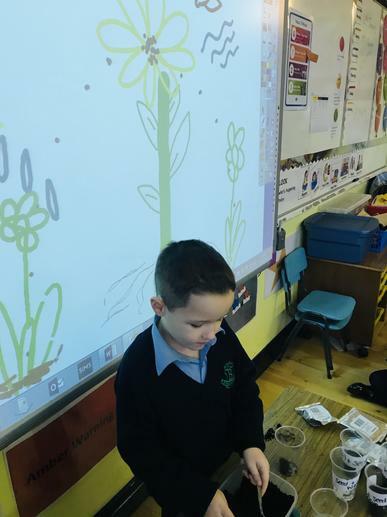 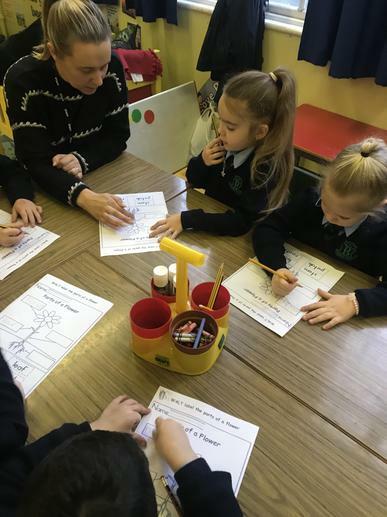 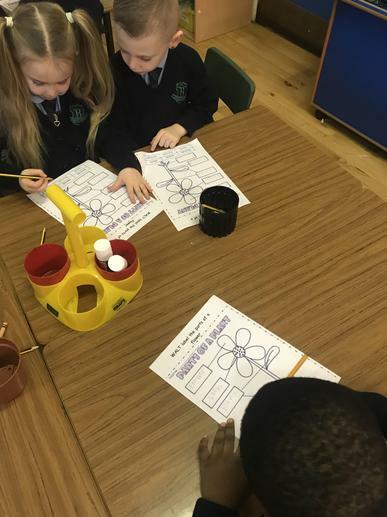 P2 are learning how to plant seeds and the process of how a seed grows. 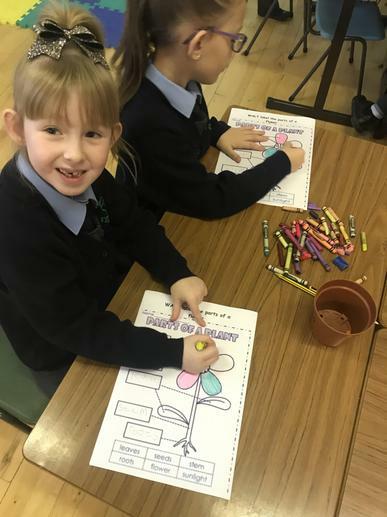 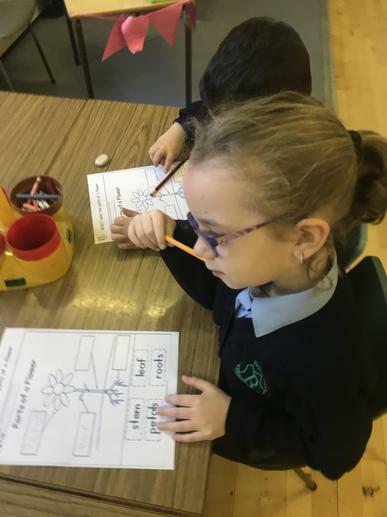 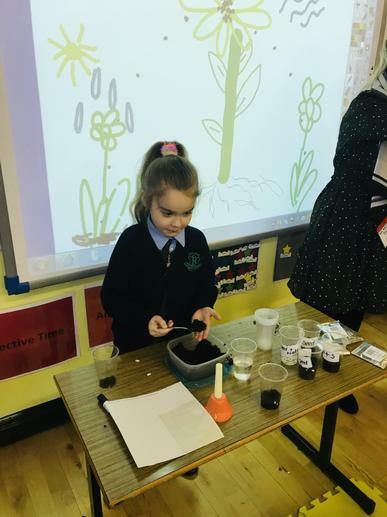 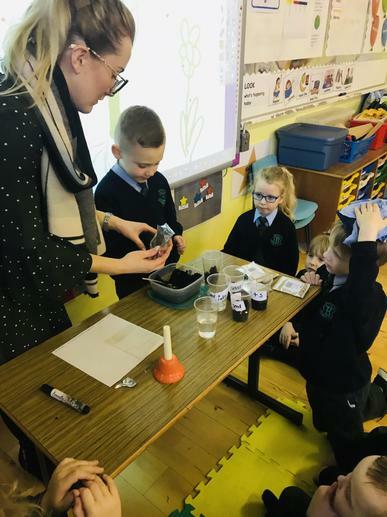 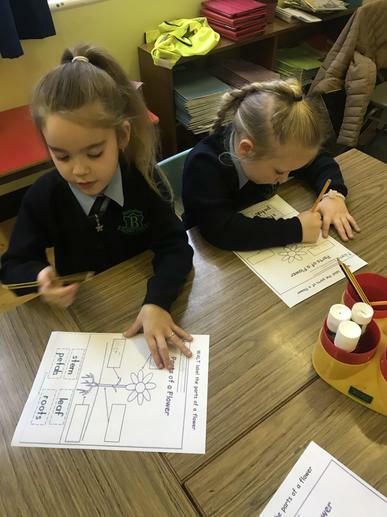 Primary Two are learning all about Plants and how they grow. 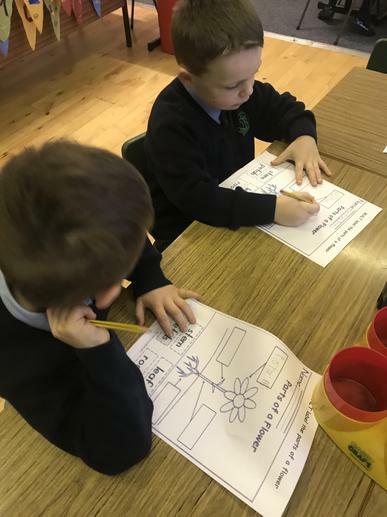 We have learnt what each part of a plant is called and it’s job. 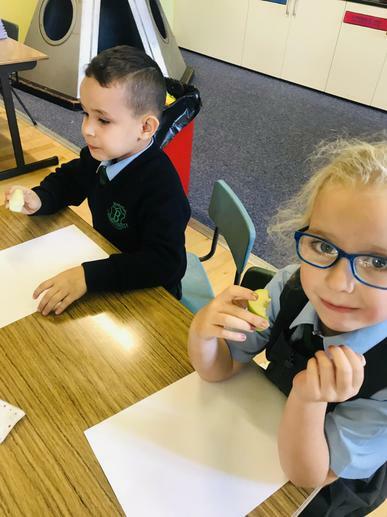 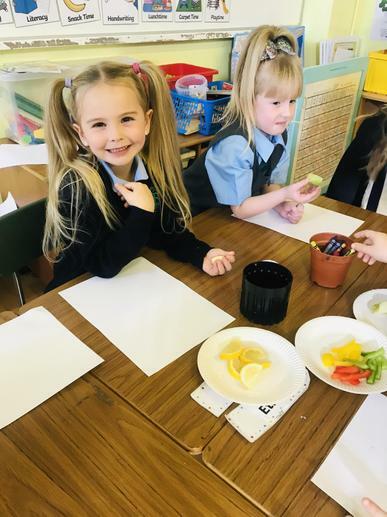 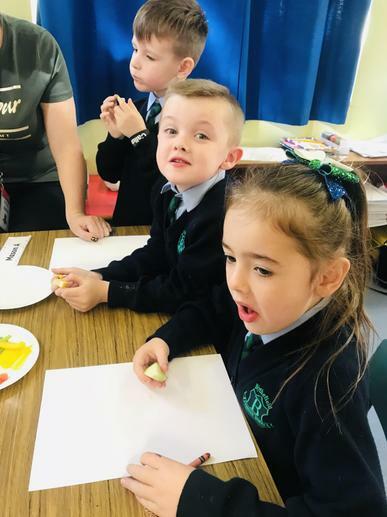 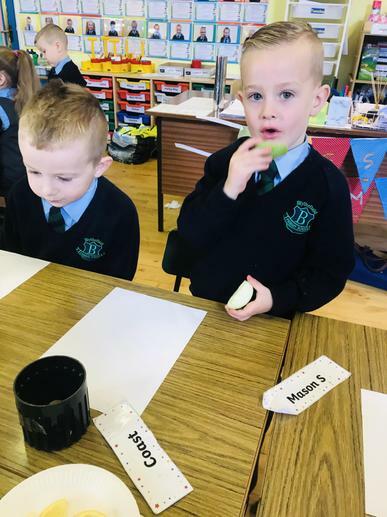 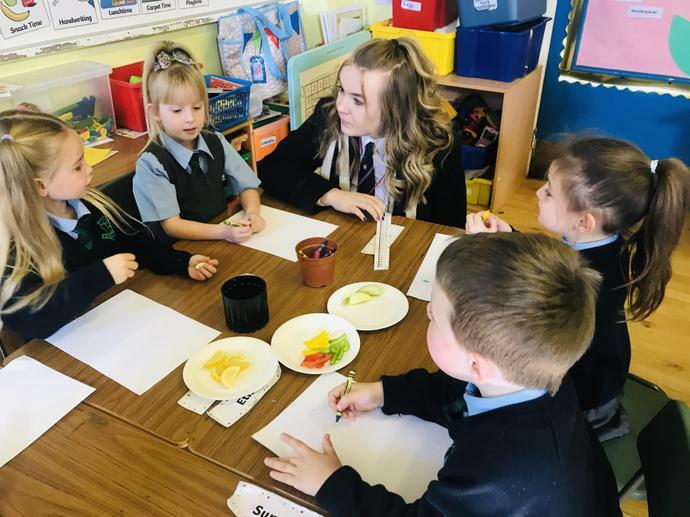 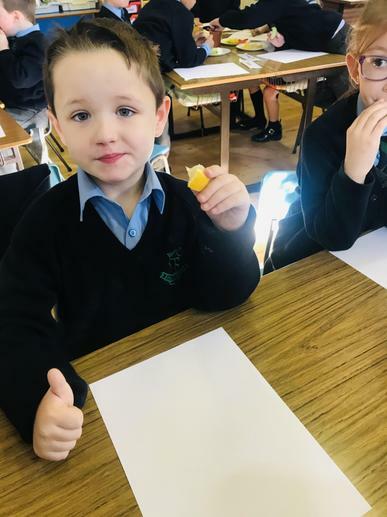 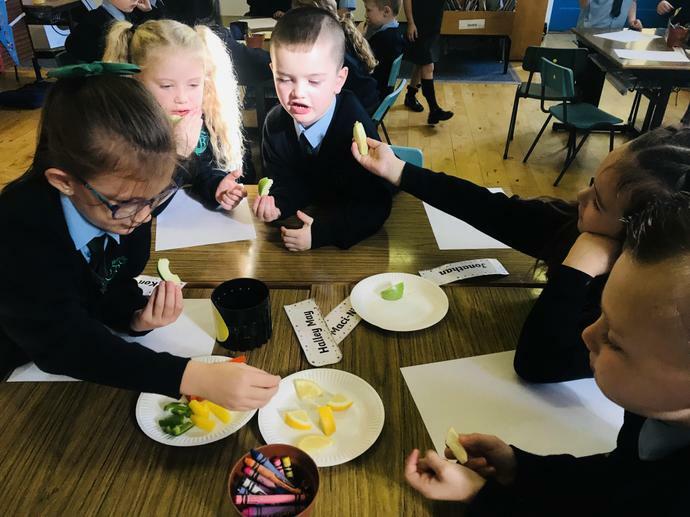 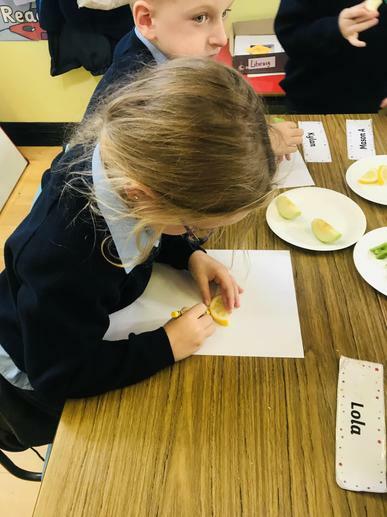 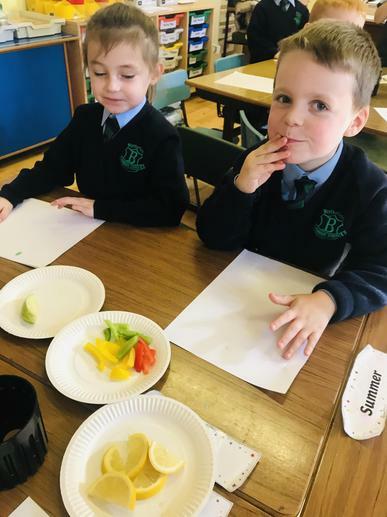 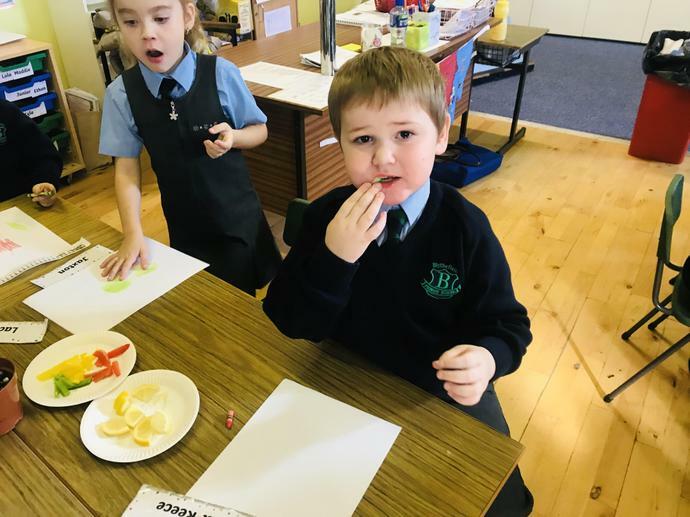 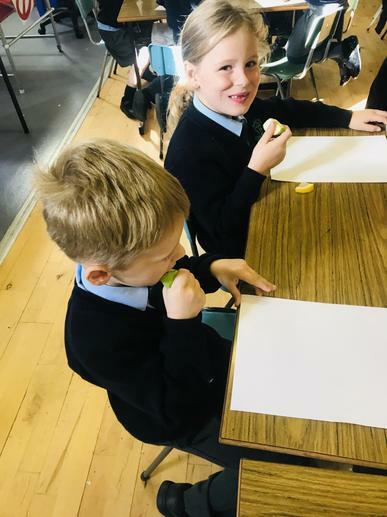 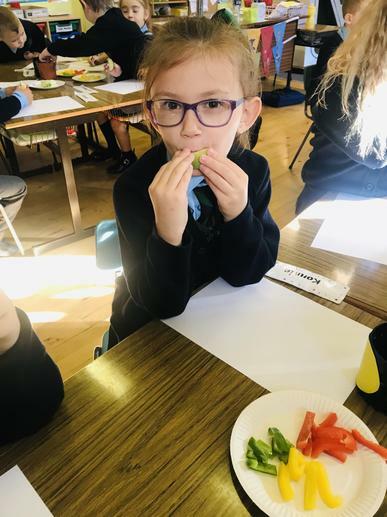 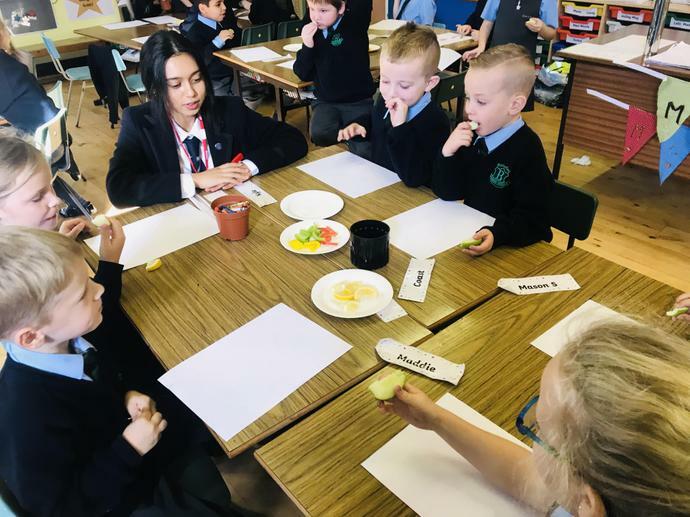 Our topic this term is all about ‘Food’ so we decided to taste some fruit and vegetables and describe them using some interesting adjectives. 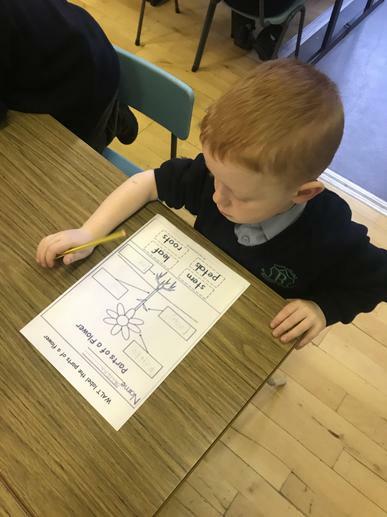 This will help us in our descriptive writing!